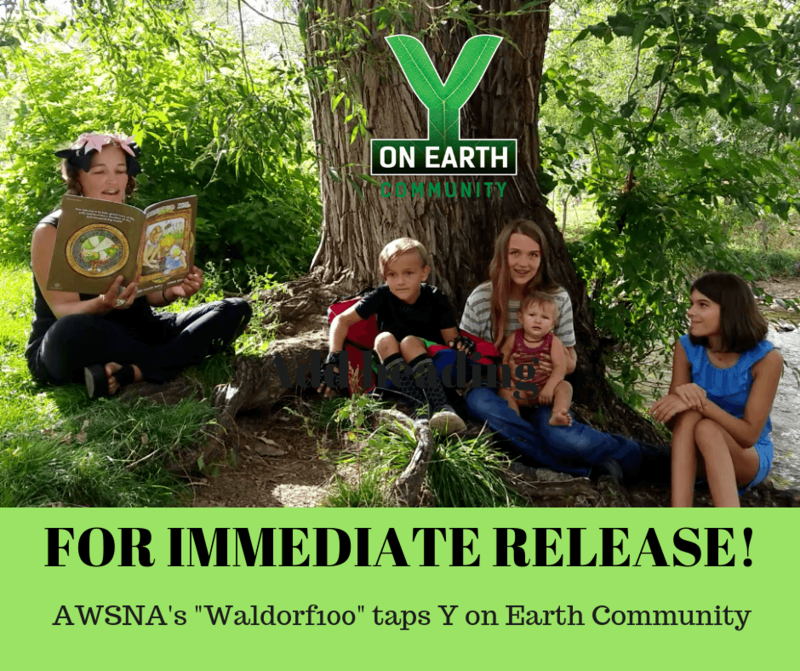 BOULDER, COLORADO, September 21, 2018 – The Association of Waldorf Schools of North America (AWSNA) has tapped the Y on Earth Community (YOE) to provide materials, resources and programming for its Waldorf-100 campaign, celebrating 100 years of Waldorf education throughout North America. YOE is providing Biodynamic Source’s Buffalo Soil Activation Preparation & Field Spray (BD Prep) along with two of its recently-published books, the Soil Stewardship Handbook, as well as the children’s book Celebrating Soil, at a special discount for AWSNA community members and other supporters. With special BD Prep made by Biodyanamic Source at Sustainable Settings farm in Colorado, this “Parents & Educators Kit” empowers communities to experience soil-stewardship ceremonies in the spirit of Rudolf Steiner’s Biodynamic framework, and makes the ceremony experience easy, fun and impactful for all ages. To support AWSNA’s campaign, the Y on Earth Community is making its “Parents & Teachers Kit” available to the general public, and 10% of the proceeds will be given to AWSNA’s Waldorf100 efforts. The Y on Earth Community is a non-profit project that delivers innovative products, content, and in-person experiences to communities, corporations, schools and municipalities throughout North America. Author and founder Aaron William Perry is available for speaking, consulting and coaching engagements, and can be reached through the yonearth.org website. You can learn more about AWSNA and Waldorf100 at waldorfeducation.org/waldorf-education/waldorf100/partners. For more information and to purchase your Parent & Teacher Kit, please visit yonearth.org/market, or contact us via: [email protected]. To contact Nita June Davanzo at AWSNA, please email: [email protected].